Welcome to the second part of the Candy Crush Soda Saga Tips Guide. After the successful first part of the ‘Candy Crush Soda Saga’ guide we now present part two. Good luck reading the guide and playing the game. In some levels you’ll have to free the Candy Bears out of the ice. It’s important to focus on the possible combinations in the ice first. Free the Candy Bears first because after a while the Bears will change color and it will take more time to free them. Most of the times one or two layers are covering the hidden bears. Every time you replay the level the frozen bears will be at another place in the playfield. A first you’d think you can’t detect the frozen bears, but that’s not true. The ice of the places where the frozen bears are hidden will have a little different glow. Focus on this ice blocks and you’ll save moves and find the frozen bears faster. Read more of the Candy Crush Soda Saga Tips Guide below here! 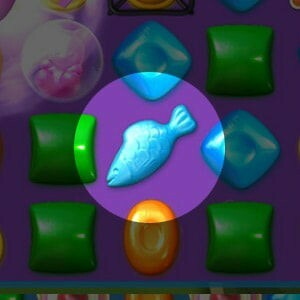 The Special Candy looking like a fish is a very powerful candy. Use this Fish Candy in one move and the candies will get up a few rows up. This is a really good tactic to get through the levels fast. It will save a lot of time. Cupcakes are most of the time really hard to get rid of. How hard it is depends on the amount of ingredients or items that are in the cupcake. Every combination you make next to the cupcake removes one item. Once you’ve reached the wrapping paper you only need one more combination and then the cupcake is gone. If you combine two wrapped candies with each other, there will be a big explosion, on two occasions. Combine two Wrapped Candies in one move and there will be two big explosions in the playfield. Very nice move to get some new candies in the playfield and get rid of some obstacles. If you combine to Color Bombs in one move, all the candies in the playfield will be removed. Combine one Striped Candy with a Wrapped Candy in one move you’ll be really happy with the outcome. This combination will get rid of three rows vertically and horizontally. This move is pretty nice when you want to get rid of one particular color candy. Combine a Striped Candy with a Color bomb and the color candy you used will transform all the candies of the same color into striped candies and they will explode as a striped candy. This move is pretty need as well. 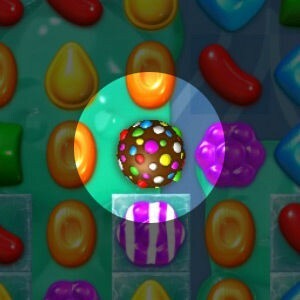 Combine a Wrapped Candy with a Color Bomb and all the (specific color) candies will be removed from the playfield. After that the Color Bomb will take away one more color candies from the playfield. Chocolate is really something you’ll start to hate. The reason for that is that the chocolate keeps on multiplying if you’re not making a move/combination next to the chocolate. So don’t get distracted by other good combinations, first try to make combinations next to the chocolate. The thicker the honey is the less you’ll see. The thickness varies from one to six. With less than three thickness you’ll be able to see what’s under the honey. We hope you’ve learned a lot reading this Candy Crush Soda Saga Tips Guide. Don’t forget to check out the other guides we made for you about Candy Crush Soda Saga.